Mozilla announced in 2012 that it would rename BrowserID, a technology and service to revolutionize how people log in on the Internet, to Mozilla Persona, or short Persona. The problem here was that this sounded a lot like Personas, the basic theme feature of Mozilla products that enables users of Firefox or Thunderbird to install themes without restarting the browser. The decision was made to rename Personas but back then it was not really clear what the new name would be. News made the round that Mozilla Personas would be renamed to background themes but that was more a temporary name since no official confirmation was given at that time. Up until now Personas was still used to refer to these themes while Persona was used to refer to the authentication service. 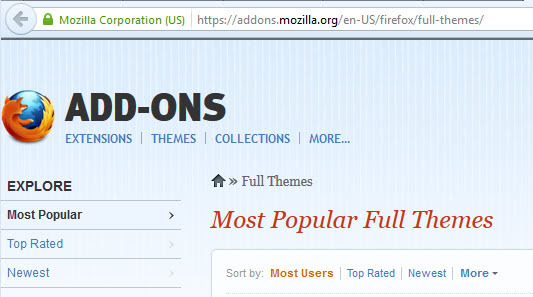 Mozilla announced yesterday that it completed the move of Personas to the themes family on the official website. Personas has been renamed to themes which is now the main entry point when you click on themes on the Mozilla website. While this may sound like a move to end confusion in regards to Persona / Personas it may have opened up a new can of worms. Since Personas are now called themes, how are regular themes called now? Mozilla distinguishes between themes and full themes, the latter being total conversions of Mozilla products, the former lightweight themes that were previously know as Personas. 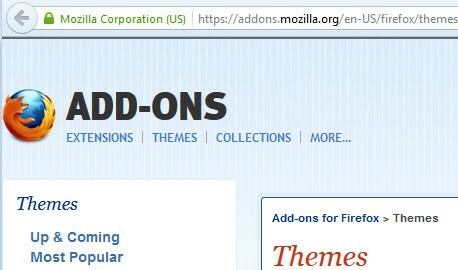 You can browse the full theme listing here on the Mozilla add-ons repository and the themes selection here. When you click on themes on the official website you are taken to the "Personas" theme repository by default. To open the full themes category, either click on the link above, or browse to the bottom of the page to click on it there. I'm not sure why Mozilla is moving full themes to the backseat on the site, if anyone knows why that is done let me know please. The Get Personas website is still available and it is still using the Personas terminology but will also be migrated in the coming months. To paraphrase: to avoid confusion between Personas and Persona, Mozilla decides to rename Personas to themes. Themes was used before however and those modifications are now known as full themes. Thanks Martin for this update. It is though confusing to me. There were also ‘themes’ (skins) for the Firefox browser, like an Opera, Google Chrome or Apple-looklike skin. Do you know where that is moved to ? Personally it doesn’t bother, bcoz I use the default Firefox skin. But there are lots of people that have such a special design skin for their browser. I think they are now called full themes. Oh! brother … BrowserID, Personas, Themes was too obvious, some educated minds hate simple right-to-the-point references. I am stunned immaculate ! Thanks Martin for explaining the confusion ! I admire that ! I personally am very, very disappointed that full themes are being squeezed out like this.